Local Group Policy Editor in Windows 10 find and open, but how to? The Local Group Policy Editor is available in Windows 10, when you change policies for all users under Windows 10, or want to specify! 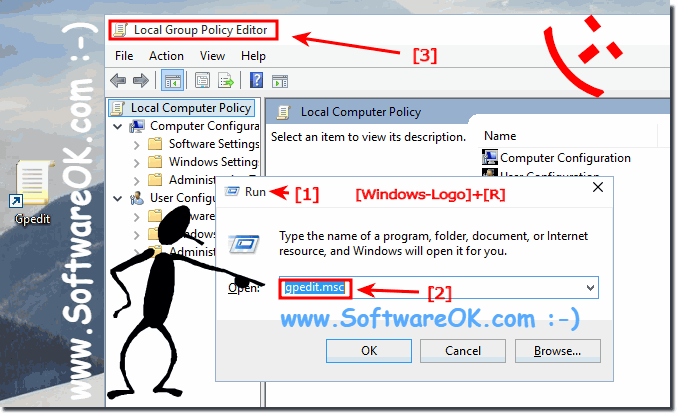 The Editor for any Group Policies associated for example with settings in the computer's local policy, the Active Directory site, and many more Policies this is the best solution for this Windows tasks, this solution to find and start the GPE is also for Microsoft Server 2016 and 2012 R2 suitable. 1.) ... Start the Windows 10 Local Group Policy Editor via the Win-10 Run dialog! 2.) ... Run the Local Group Policy Editor via the Windows 10 search! 3.) ... Open the folder of the Local Group Policy Editor and create a desktop shortcut! 4.) ... Local Group Policy Editor via Control Panel window! 5.) ... To Enforce updated of changes in Local Group Policy settings! 1.) Start the Windows 10 Local Group Policy Editor via the Win-10 Run dialog! (Image-1) Run the Local Group Policy Editor in Windows 10! 2.) Run the Local Group Policy Editor via the Windows 10 search! (Image-2) Local-Group-Policy-Editor via Windows-10 Search! 3.) Open the folder of the Local Group Policy Editor and create a desktop shortcut! (Image-3) Local Group Policy Editor folder and desktop shortcut! you’ll see a search box in the top right-hand corner of the Control Panel window. 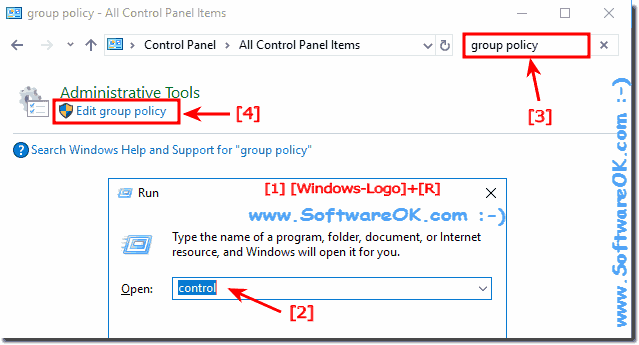 Easy Type group policy in Search-Box and press Enter. (Image-4) The Local Group Policy Editor! 5.) To Enforce updated of changes in Local Group Policy settings on Windows 10! When change the in "Local Group Policy Editor" please use the command gpupdate /force to enforce the updated the new policy to have a effect on your Windows-10. (Image-1) Enforce updated of changes in Local Group Policy settings in Windows 10! Local Group Policy Editor and the Resultant Set of Policy snap-in are available in Windows 10, 8.1, 8, 7: Pro, Enterprise, Premium, Professional, Ultimate, Windows-Server 2016, 2012, 2008, to save a Local Group Policy Editor console and choose which GPO opens in it for example from the command line, select the Allow the focus of the GP Snap-in to be changed when run from the command line check box in the Select Group Policy Object dialog box. Windows-10 - FAQ-74: Local Group Policy Editor in Windows 10 find and open, but how to? Help Windows 10 doesn't have a registry editor, where can i find regedit? 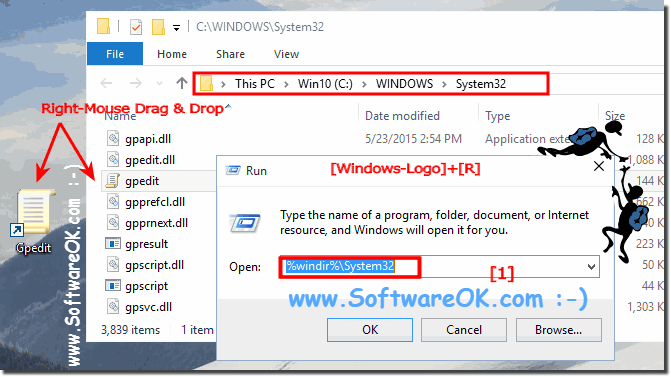 Is it possible with slmgr -rearm to extend the Windows 10 trial period? I´m missing the Navigation Area with the Folder Tree in Windows 10 Explorer? Help Windows 10 does not have any libraries, what am I doing wrong?